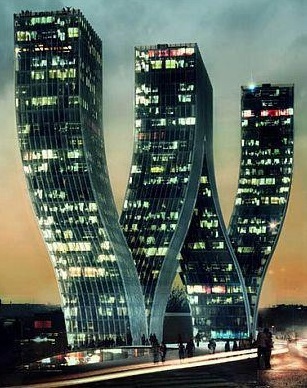 This building is located in Prague, Czech Republic.Designed by Danish architects Bjarke Ingels Group’s, the Walter Towers look stunning. Would the elevator be straight or a ride with it turns into a terrifying experience? Is such a building safe, most likely yes, but would you live in an upside down McDonald’s logo building?